Local Rhythms – Going Gourmet in Claremont? There’s fine dining, eclectic shops, and a first class performing space? Uh-huh. From the look on their faces, you’d think I lived in Brigadoon – or Hooterville. The only thing missing was a place catering to my inner gourmet. That usually required a trip to Hanover. 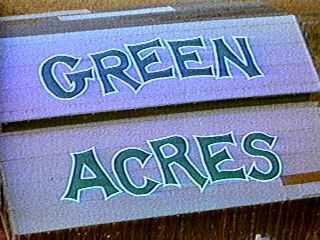 Upon discovering Green Acres, I was the one saying, “in Claremont?” Anyone who’s ever sat hypnotized by the Food Network is going to love this place. The store’s name playfully harkens back to the classic television show – their (under-construction) web site is “givemeparkavenue.com”. It’s the kind of place an urban sophisticate like Eva Gabor might have opened herself, if she’d ever stopped complaining to Eddie Albert about being stuck in the sticks. Situated next to Violet’s Books in Opera House Square, Green Acres is an oasis of handpicked delicacies – locally made cheeses, freshly baked bread, craft beer (with corks! ), and wines Robert Parker can love. They also carry chic cookware, and dark, decadent Lake Champlain Chocolates. Proprietor Tristan Henderson is a very erudite 21-year old; he also makes a first-rate latte, which customers can enjoy on the large, comfortable leather couch in the front of the store. A group of musicians, led by South Strafford fiddler Randy Leavitt, will swap tunes and have a good time. Tristan envisions the gathering as a song circle, not a performance. It’s a bit like Lebanon’s Salt Hill Pub on Tuesday nights, except with Cajun, folk, and traditional French-Canadian music instead of Irish tunes. It includes open invitation to anyone who fancies himself a player to come in and share. With the pending arrival of Sophie & Zeke’s into the newly renovated Brown Block, Opera House Square is shaping into the downtown hub everyone in Claremont always wanted it to be. Maybe the folks who run the Farmer’s Market will move to the bullpen this year. That would be exciting. To those who haven’t experienced Claremont’s renaissance first-hand, we welcome you. What other lively happenings await? Thursday: Recycled Percussion, Colby-Sawyer College – My pick of the week. Imagine the “beat on anything that looks drum-able” sound of Stomp! Then add in heavy metal guitar shredding, a sampling, scratch mixing DJ, and plenty of urban sass. That about sums up this inventive foursome. Quite honestly, I’m just trying to meet my deadline. Give me a few more hours, and I’ll find more superlatives. Friday: Amity Front, Salt Hill Two – How come bands who charge 10 bucks everywhere else perform free at Salt Hill? Must be the charming owners. 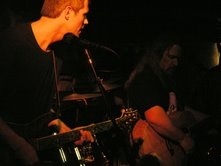 Amity Front play roots music that recalls “American Beauty” Grateful Dead. Good singing, good playing – if you ask me what my favorite style of music is, it’s this: strip away the amps and flash, and prove what you can do with your fingers and your voice. These guys are right there in the sweet spot. Saturday: Molly Cherington, Blow-Me-Down Grange – This singer-songwriter blends the raw neo-folk energy of Ani DiFranco with a Joss Stone soulfulness. A fine example of this miraculous balance of edge and flow is “Become,” a track from Molly’s just-released “Our Minds Were Made.” The CD is included with each ticket – my kind of guerilla marketing. Since Cherington, a Plainfield native, now hails from Denver, she doesn’t play many local shows. Don’t miss this chance. Sunday: Susan Werner, Tupelo Music Hall – Some intimate venues are worth the long drive. There’s Iron Horse in Northampton, Higher Ground in South Burlington, and this gem in Londonderry, which just underwent a sound upgrade. The acoustics are amazing, and the talent is first rate. Werner just released an album, “The Gospel Truth,” which tries to reclaim some of the moral high ground ceded to the religious right in the last few years. What is faith? She has some interesting answers. Tuesday: Billy Rosen & Norm Wolfe, Tip Top Café – White River Junction is quite the hot spot these days, and jazz is a big reason why. Rosen and Wolfe are busy guys, playing in Woodstock, Quechee and Claremont when they’re not making regular stops at Canoe Club. Rosen’s guitar and a fine dish like pork ginger meat loaf are the perfect combination, and Tip Top is a nice cozy place to enjoy both. Wednesday: Ed Eastridge, Canoe Club – Tasty licks from the one of the area’s finest jazz guitarists, and he’s a smart singer too. One wag described his music as “like therapy” – and I won’t disagree. There is something quite soothing about his restrained, delicate touch in the midst of life’s vicissitudes. The Gully Boys’ secret of success, says founder and bandleader Bill Temple, is simple. Don’t worry about success. A vintage Hammond organ helped spice up a track from “Diluvian Dreams,” their independently-released CD, which has sold a respectable 1,300 copies locally. “Big Rocks” is vintage Gully Boys, a kiss-off to the workaday world that the band escapes from every time they play. The only thing missing were cigarette lighters. The modern-day equivalent – glowing cell phone screens – might have been too anachronistic for this throng. Other highlights included a slowed-down, sax-infused “Spanish Moon” that improved on the Little Feat original, and an epic-length version of “Scarlet Begonias” which morphed seamlessly into “Fire on the Mountain.” The floor in front of the stage stayed crowded with dancers all night. There were even a few toddlers, including Temple’s 2-year old son Gideon. The party lasted till just a little before 1 in the morning, when rhythm guitarist (and original Gully Boy) John Sigarfoos unplugged. “That’s it, I’m done,” he reportedly said. “He has a morning job,” explained Temple with a laugh. “I like to believe the music plays the band,” he says. Their antidote to all that was apparent Saturday night, as the band squeezed every bit of pleasure out of tunes like “Wang Dang Doodle” and “Sugaree.” They’d start each set with a list of seven or eight songs, and end up playing five. With so many soloists on stage, that kept things both fair and fun. The band employs no special effects, no posing or preening. They don’t even have a web site. “There’s only dial-up in South Royalton anyway,” Temple says. The band coalesced around a Quechee show to memorialize Jerry Garcia, after the Grateful Dead guitarist died in 1995. They had so much fun that they moved the party to Seven Barrels Brewery. They still play the last Saturday of every month at the West Lebanon bar. “That’s what’s kept the band together – that gig,” says Temple. In addition to Temple, two keyboard players, four bassists, six guitarists and a Spinal Tap-worthy eight drummers have done time with the band. There’s also been a harmonica player (original member Peter Meijer- his brother Rich joined on guitar four years ago) and a lone saxophonist. By Temple’s count, 24 to 25 players have called themselves Gully Boys since the band’s loose beginnings in 1994. Quite a few made the trip back for last weekend’s show, though the drummers are apparently the hardest to track down – and typically the quickest to leave. So they burn out a little faster – and that’s fine, says Temple.